This November, Microsoft will debut its next generation console, the Xbox One, at $499. We've known since last month that it has more processing power, an upgraded Kinect motion detector and standard wireless controllers. Yesterday, Microsoft announced a number of high profile game titles to take advantage of the more powerful system including racing favorite Forza 5, first person shooter Battlefield 4 and a special edition of Minecraft specifically designed for the Xbox One. This is in addition to their previous announcement detailing how the console is more than a gaming system. Not only can you access television shows and movies, music, Skype and internet browsing, but you can do all of these at the same time through separate windows, quickly switching between the one you want to focus on. Add to that voice commands and advancement gesture and facial recognition from its new Kinect camera and it's clear that Microsoft wants the Xbox One to be the entertainment center of your living room. Microsoft, of course, chose not to focus on their controversial digital rights management policy that comes with the new system. No longer can friends freely borrow each other's game discs. Once a game is purchased, it must be registered with Xbox and it can only be played through that player's account. There are indications that others can play using someone else's game disc, but there will be a charge involved. This news has not gone over well with players who are accustomed to buying used games cheaply or loaning the game disc to their friends. 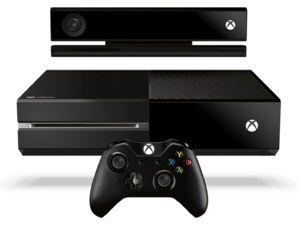 Another controversial move by Microsoft involves the monitoring of the Xbox One system. The console must be able to connect to Microsoft servers over an internet connection once every 24 hours. If it cannot, the system will disable access to all games loaded on it until it can establish a connection. This includes blocking access to single player games not normally requiring an internet connection to play. This has irked many potential customers that live in areas with spotty internet service. Despite the used games and 24 hour connection policies, Xbox One was looking like it would continue the long-running lead of its predecessor, the Xbox 360, in the console wars. Especially with Microsoft sweetening the Xbox Gold subscription deal with two free games per month. Then Sony made its own announcement yesterday about its PlayStation 4 and everything changed. Sony announced more titles, no restrictive used game policy, no mandatory connection check-ins and a price of $399. 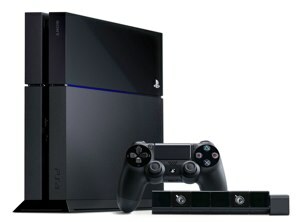 Suddenly it looks like PlayStation 4 is worthy contender. The PlayStation 4 will feature popular titles such as the long running Final Fantasy XV, the launch of a new Mad Max game based on the 1979 Mel Gibson movie and a number of strong titles from small independent game studios. Many of the games will integrate with the handheld PlayStation Vita or have extra features available through tablet apps. To make it perfectly clear where they stand, a Sony executive emphatically stated they are dedicated to "true consumer ownership and true consumer trust." In contrast to Microsoft's more restrictive policies and policing, that message may win over many new customers. On the entertainment front, PlayStation also excels, with offerings from Netflix, Redbox and others, though there hasn't been as much of an emphasis on that by Sony. Which next generation console is right for you? PlayStation 4 has obvious advantages for gamers with its many upcoming titles (140 in development), favorable used game policy and a price point $100 cheaper than the Xbox One. On the other hand, Xbox One has compelling features families and casual gamers. But all has yet to be revealed and there's no reason to make a decision today, even if both systems are available for pre-order on Amazon. Even as more information is released, keep in mind that both the current consoles, the Xbox 360 and the PlayStation 3, will not only still be for sale, new games are being developed for them and most next-generation games will have versions that can be played on these systems. Either way, the Wii U is looking like its coming up a distant third in the race for your console dollars.